Up, up and away in my beautiful, my beautiful balloon! 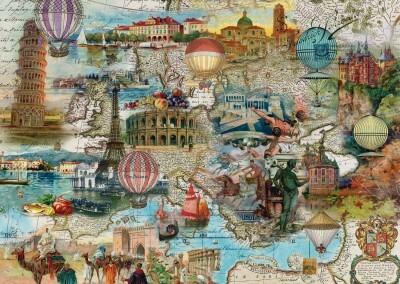 Featuring exotic hot air balloons and landmarks across Europe. The intricate illustration in this 1000 piece puzzle will have you floating across the continent. From renowned jigsaw makers, Schmidt. Finished size 693 x 493mm.